Findings from Total Jobs cautioned that Britain’s employers are guilty of using unconscious gender bias during the hiring process; a result of certain word choices. The University of Waterloo and Duke University revealed the unconscious gender bias terms that were used in the US, indicating which were female-coded and male-coded and linked to gender stereotypes. A big part of our job at Kendrick Rose is talking to people. We spend most of our day on the phone or talking face-to-face interviewing candidates or meeting clients. We have found that it’s worth taking time to think about our rhetoric; take stock of our vocabulary and the way we communicate. The recruitment industry and in fact the whole process of recruiting, can be full of bias; our language can influence a candidate’s answer or steer a conversation in a certain way, just with the words we use. Have you ever looked at the JEP ads and really scrutinised them? Can you dig below the surface headline and identify gender bias? Part of our job is to look at the way job adverts are written. We are always happy to advise our clients on the best way to write adverts, not only to get the best results but also to avoid gender bias in the copy. Research has found that people were less likely to respond to ads that had words biased in favour of the opposite gender. Total Jobs have sought to raise awareness of unconscious gender bias in what has been called the largest study of language used in UK recruitment, some 76,929 job adverts were analysed over a six-week period. Results revealed 478,175 female and male biased words were used – an average of six words promoting unconscious gender bias every advert. A senior revenue manager post possessed the most male-coded words with 67 in its description, with 46 female-biased words in a residential worker advert and 44 in nursery nurse. After reading these statistics we feel here in Jersey there is a lot of work still to be done to promote diversity and equal opportunity across every sector. Interestingly, job descriptions for senior openings were likely to have unconscious gender bias in favour of men, with male-coded words. On an industry basis for unconscious gender bias, consulting, sales and IT were more likely to use male-coded language in senior roles, while social care was the sector most likely to use female-coded language. Evidentially, gender stereotypes in relation to certain roles are so entrenched, the market needs to take action to address this. As an Island business community we are making strides to help put an end to unconscious (and sometimes conscious) gender bias. There are also many groups and initiatives driving the agenda of equality. For example, the Jersey Community Relations Trust (JCRT) have launched a Women in Politics Campaign to help attract women into politics. The I0D Work Shadow Scheme helps students from a young age realise that they have an opportunity to fulfil their careers as leaders, whether they are male or female. 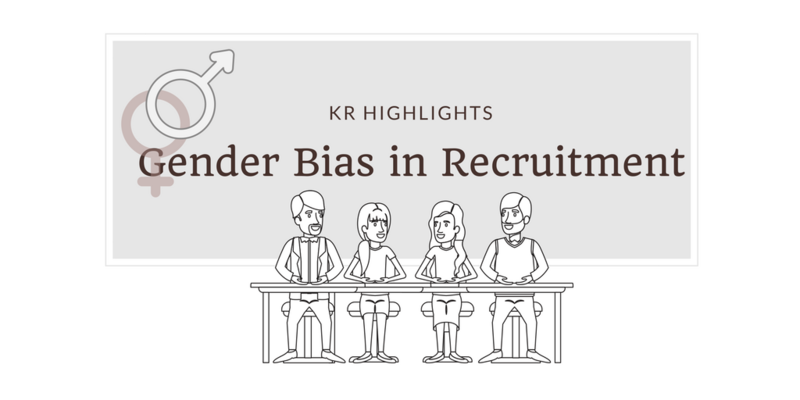 In terms of the recruitment industry and process, we can do our part by addressing the unconscious bias that still exists at the very start of a candidate search, and move towards a truly diverse workforces that will make inroads in tackling major challenges like the Gender Pay Gap. For an informal chat about any of the issues raised in our blog please feel free to contact us.